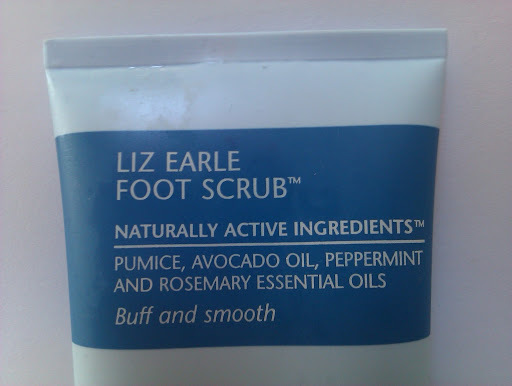 About a month or two ago I got Liz Earl’s Foot Scrub. I was really curious about this product because all those foot scrubs usually don’t work well. So I started immediately to use it. I know that many of you don’t take care of their feet when autumn and winter arrive. It’s true, isn’t it? That’s really bad. Our feet need our special care even when wee don’t wear sandals. But let’s admit it. We all forget to take proper care of our feet during those long winter months. The Foot Scrub by Liz Earle is easy and fast to use. That’s important, at least for me, because I am sure I won’t be bored to use it and have soft and hydrated feet. I have to admit that this scrub is better that others that I have tries, even professional ones. The scrub is rich and creamy. It contains naturally active ingredients like exfoliating pumice particles, softening avocado and wheatgerm oils rich in vitamin E. The pumice particles work miracles; they exfoliate the dry skin and remove dead skin without irritating it. The scrub is very effective but still gentle. The smell is strong but amazingly refreshing. It has a peppermint scent that lasts for hours on the feet. After the third time I used this scrub, my feet were very smooth and noticeably soft. If our feet are very dry, don’t worry. It will take you a few more applications to get baby smooth skin, but you will see the results as well. I use it once a week and I really enjoy using it. When it gets colders and I’ll start to wear my boots I am going to use it twice or maybe three times per week. 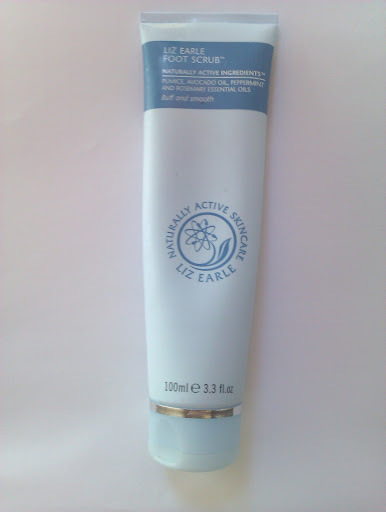 The packaging is a simple, soothing and hygienic blue tube that contains 100ml of product. It costs £10.75 and expires 24 months after you first open it. If you think that the price is high for a foot scrub, then you can choose the 15 ml tube that costs £4.75. 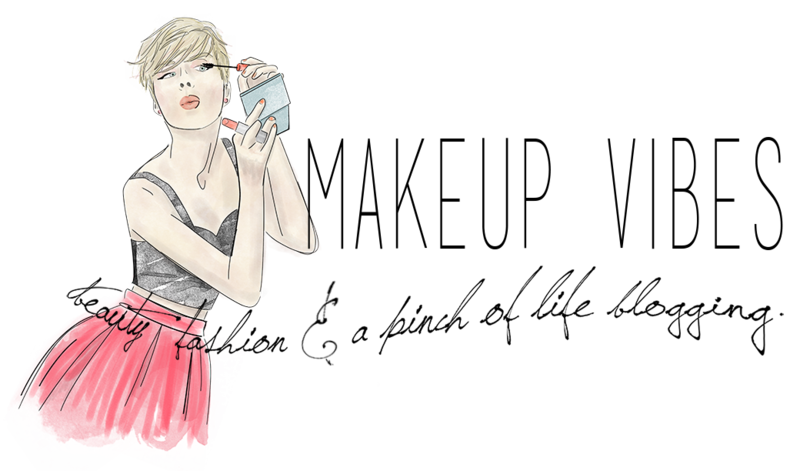 I would prefer the 100ml because the consistency is thick and you need a small amount of product for every use. It will last you for a long long time! Have you ever tried this Foot Scrub? What products do you use to take care of you little feet? Disclaimer: This product was sent to me by PR for consideration. That did not influence my opinion. I express my personal and honest experience with the product. I only use a pumice stone to exfoliate, and then a body shop body butter. This sounds very nice! The only thing I use to exfoliate my feet is a hot pink -looks like spaceship- disc. 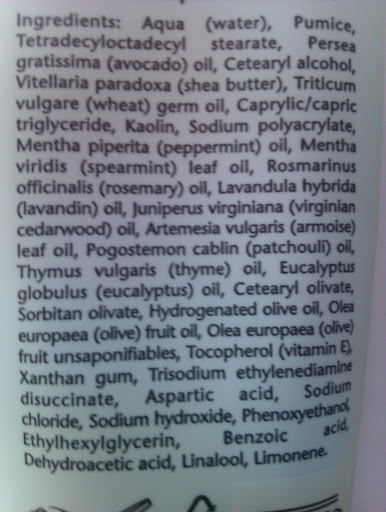 Maybe I should try this one, I like the fact that it has so many natural ingredients!